Ball lock vs Pin lock Corny keg? | Because beer. While easily 90% of the supply is in the standard 5 gallon size, there are also 2.5, 3, and 10 gallon kegs out there. That’s not the only differences in the two kinds of kegs though. The 5 gallon pin lock kegs are generally a little bit fatter and shorter than the 5 gal ball lock ones. That can make one kind easier or harder to fit into a small fridge. One other difference between the two styles is that usually the pin lock kegs don’t have a manual pressure relief valve. 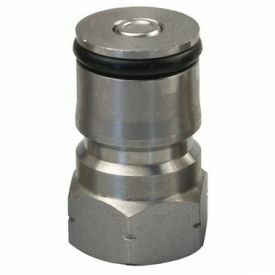 The pressure relief valve (PRV) will release pressure when it builds up to a certain level, therefore preventing it from getting dangerously over-pressurized. 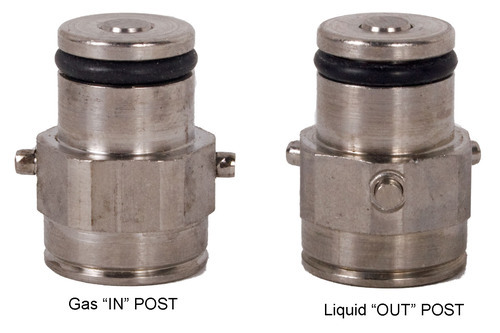 Both styles of valve do this, but the Pepsi/ball lock lids have a way to pull a pin and let the gas out manually. While this is definitely a useful thing it can also be done on the pin lock keg by pressing on the gas in line with your fingernail or a screwdriver. Due to the general preference for ball lock kegs, they command a premium over pin lock kegs. Sometimes as much as $20 difference on a used keg. It is also very difficult to find new pin lock kegs. Click here to check pricing on pin lock and Here to check pricing on ball lock. I recommend that people getting in to kegging for the first time go with pin lock. Kegs are getting more and more expensive as the supply continues to dry up. Saving $10 to $20 per keg can add up pretty quickly, and since they are in lower demand you can sometimes score incredible bargains. At the time of this writing, Adventures in Homebrewing has 4 3 gallon kegs for $125, and 4 5 gallon kegs for $139. You CAN NOT beat those prices unless you score an amazing craigslist deal. If you have ended up with a bunch of different styles of keg, no worries! I’ve done a tutorial on how to convert Pin Lock to Ball lock and vice versa.